Could someone explain me please what's the difference between this to fields? Why in one place they show Pending status and zero confirmations while in the other one they show 230K confirmations? Browse other questions tagged transactions blockchain blockchain.info unconfirmed-transactions confirmations or ask your own question. 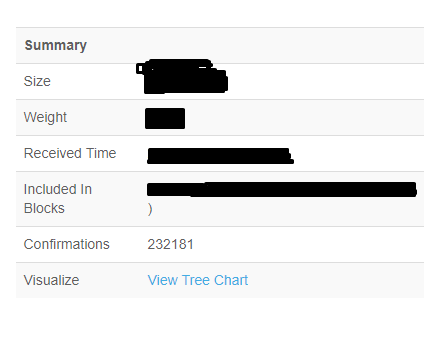 Why does blockchain.info report “Estimated Confirmation time” not as 10 minutes?